of autumn – which is music to the ears of the epicure. and this is the time of year where the stores are stacked with delicacies. Whether you're thinking "What shall we have today?" and coming up with menus, or just wondering "What are we having today?" as you get ready to eat, people can hardly wait for their meals at this time of year. Forget about your diet, and fill your stomach and your soul with some good eating. 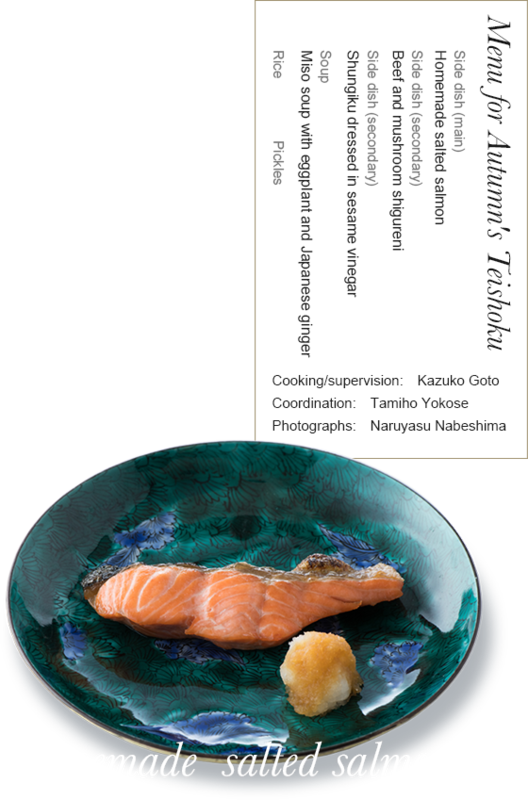 The main side dish this time is homemade salted salmon (shiozake), which is a bit different from the salted salmon that you can buy. This can very easily be made at home, so please don't hesitate to try it. such as horse mackerel, barracuda, mackerel, or sardine. The secret to drawing out the flavor is in using the best salt you can. 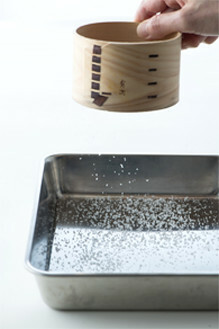 or sansho (Japanese pepper) salt. ◎Once you have enough fish prepared,remove it from the dehydrating sheet,wrap it in film, place it in a freezer bag, and put it in the refrigerator,eating it within five days. If you wish to preserve the fish for longer, take it out from the refrigerator a bit sooner, place it in a freezer bag (leaving it in the dehydrating sheet), and freeze it. ❶Spread out a dehydrating sheet, sprinkle half the salt over an area proportionate to the size of the salmon, and then put the salmon on top. 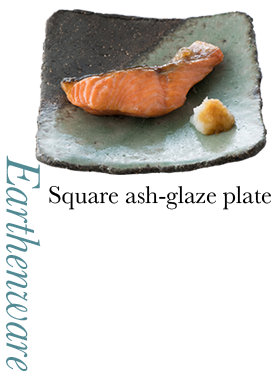 ❷Sprinkle the remaining salt on the top of the salmon, wrap it in the sheet, place it in a tray, then put the tray in the refrigerator. ❸Remove the fish from the refrigerator after around two days. ❹Heat a grill basket, place the fish so that the top side is facing the bottom, cook through at medium heat for four minutes, then turn over. If using a grill, start cooking the fish by having the bottom side facing upwards. 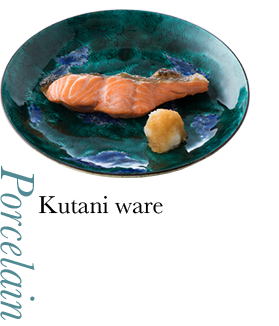 ❺Place the cooked fish on plates, garnish with grated daikon, and enjoy with soy sauce. so we've used meat for a secondary side dish. and ginger to make shigureni. 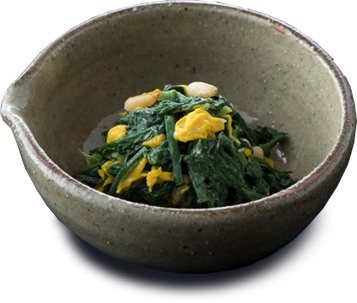 The pine nuts add something extra to the texture. 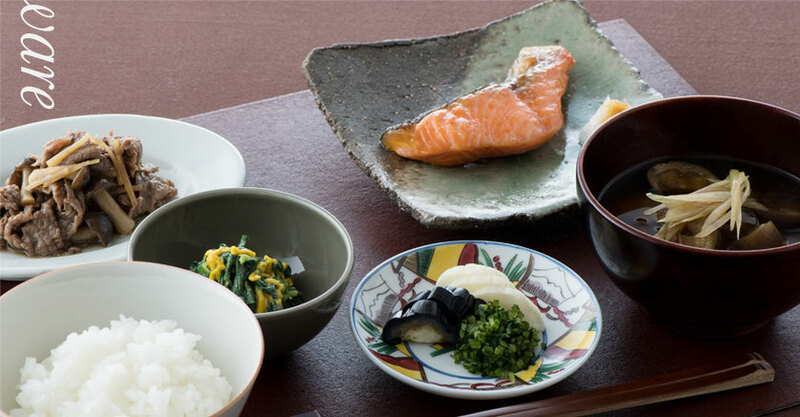 People pay attention to the cups used in tea ceremonies, but during ordinary meals, it's rare for the plates, dishes and bowls to be the topic of conversation. We need these items to set off the food in an attractive light. 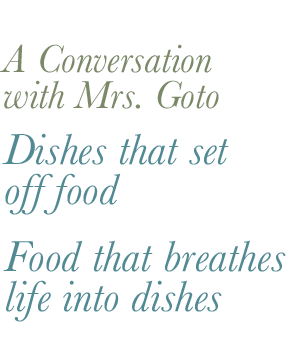 What's more, serving food on these plates, dishes, and bowls brings that which makes them wonderful to life. When placing these items on your daily dinner table, the best thing to do is to use the ones that you personally like. Choose the color or the shape just like you'd choose your clothes, and enjoy finding combinations. 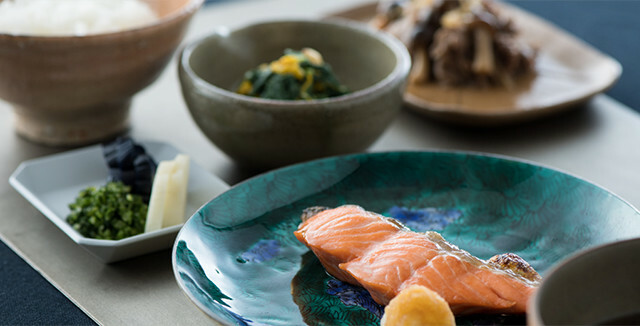 And to match the occasion, when eating Japanese food, why not use plates, dishes, and bowls that give of a sense of the wonder of Japanese food, and let it enrich your daily life? 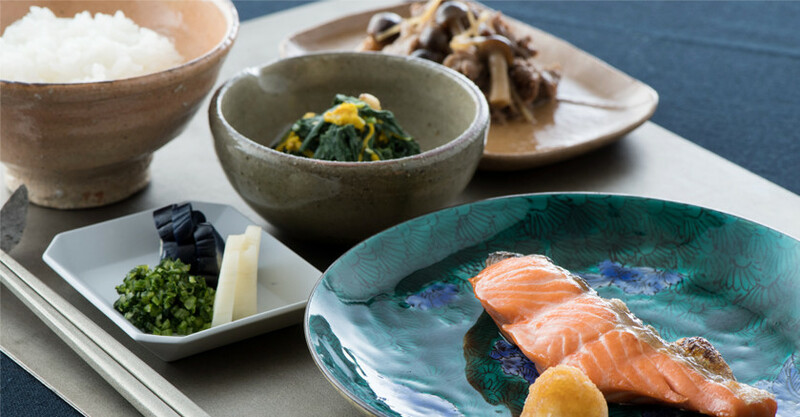 This time, we've served the main side dish in earthenware and porcelain bowls, which appeal to different tastes, so that we can show you their properties, qualities, and how they interact with each other and other items. Feel free to use them as an example. This piece was produced based on the design of 17th century Kutani ware. A square plate made by the Kyoto ceramic artist, Yoshitaka Araki. to use for modern dining, and can serve a number of purposes. 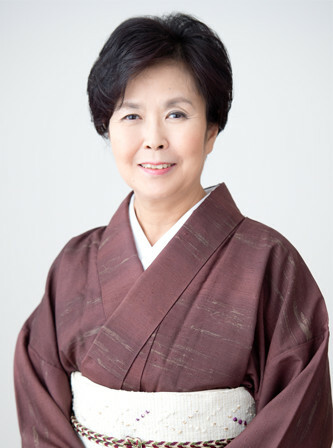 the parts that can't be seen is the essence of Japanese style. but it also does a great job at providing a striking contrast with other items. and bowls that you use can give rise to different expressions, offering much to think about. grey surface, giving it a sense of warmth. the color of the glaze. by using illustrated plates with a sense of playfulness. Much like with clothes, items like plates, dishes, and bowls must set off what they contain. so choose items that show off the beauty and deliciousness of your food. 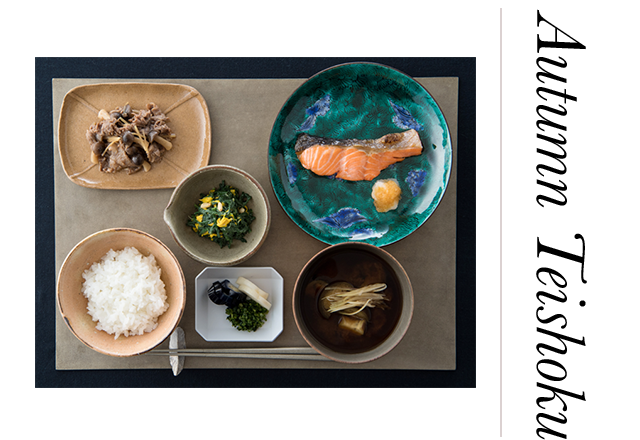 Before Rosanjin began making ceramics, he had been well-versed in food from an early age. able to make such wonderful things with which to serve it.